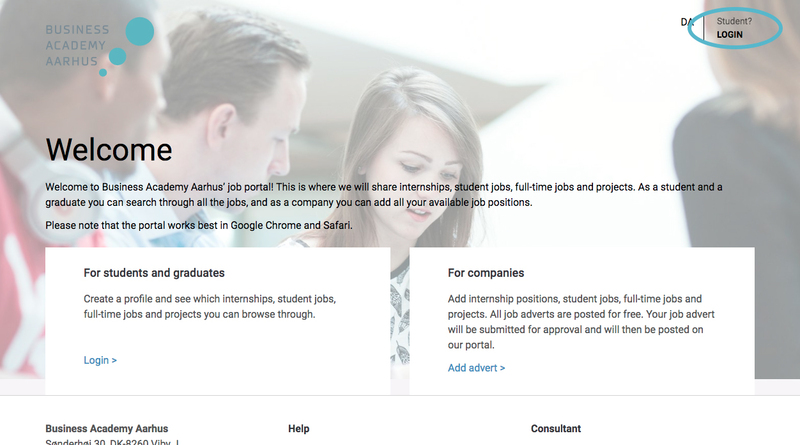 Go to www.jobportal.eaaa.dk/en/ and click LOGIN in the upper right corner. 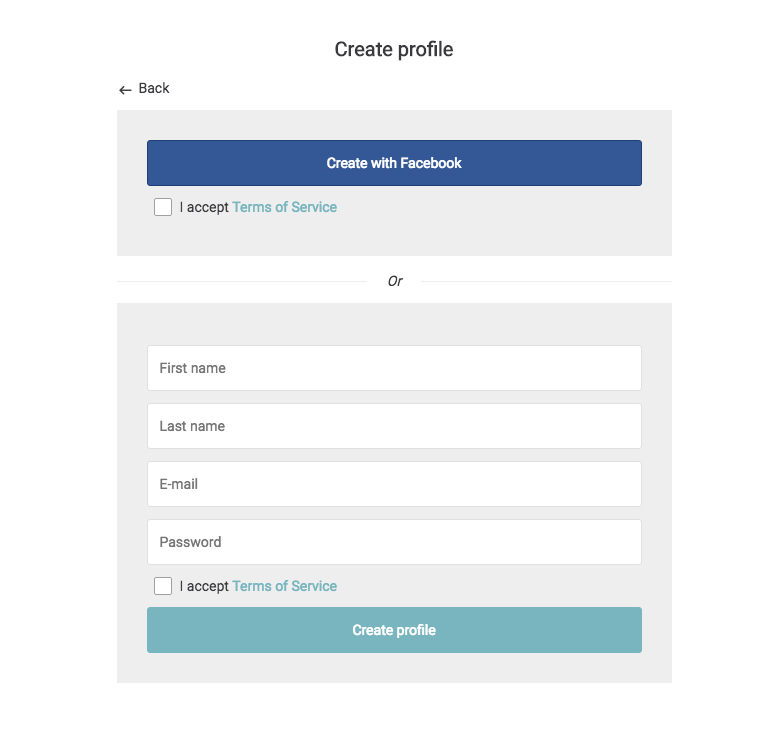 To create a profile click "Create profile" just beneath the Login button. 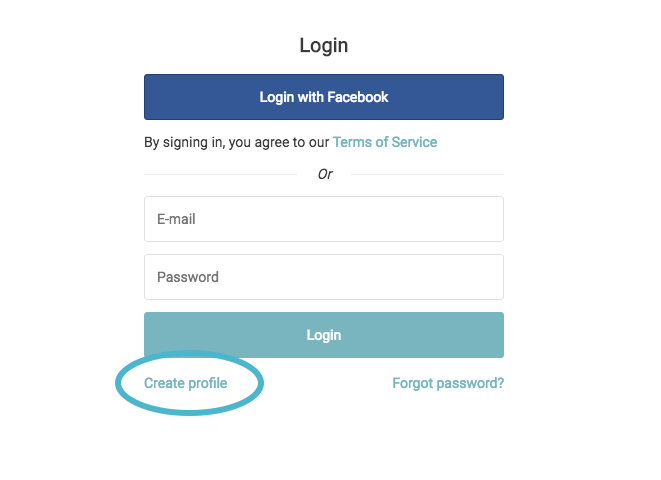 Now you have to fill in your information, accept terms of service and click create profile. You'll now be asked to verify yourself. 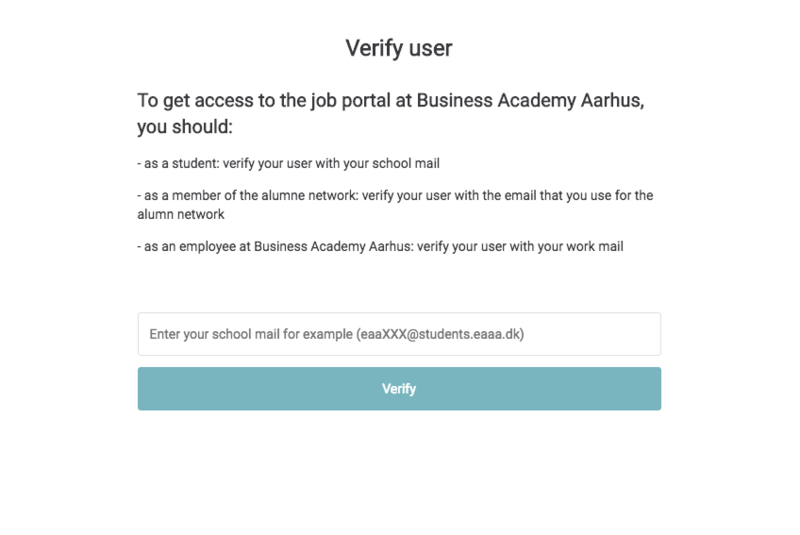 Do this by entering your school e-mail and click "Verify". Your profile has now been created and you'll be directed to the "Find job" tab. 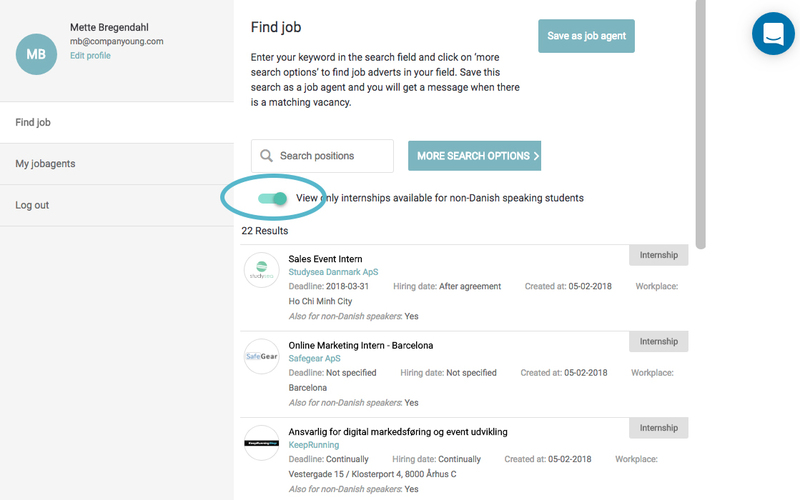 To access job adverts that are suitable for non-Danish speaking students make sure that you activate this function by clicking on the grey dot so that it turns green. 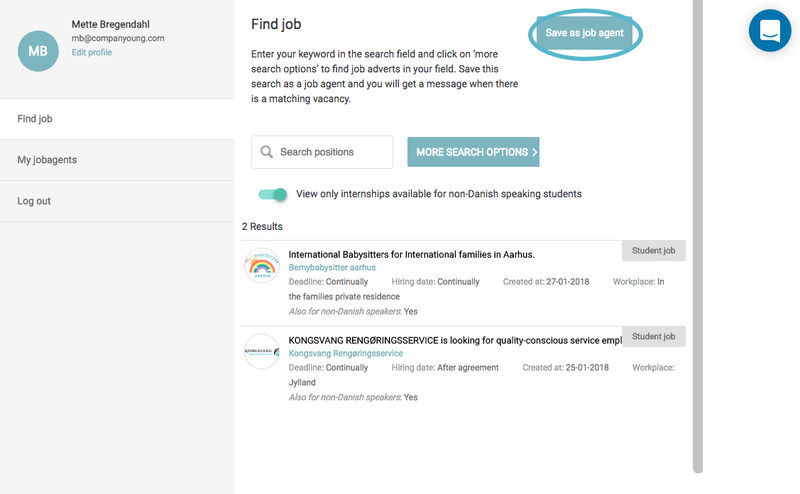 To perform a search based on geography, position type and job field, click "More search options" located right next to the search field. 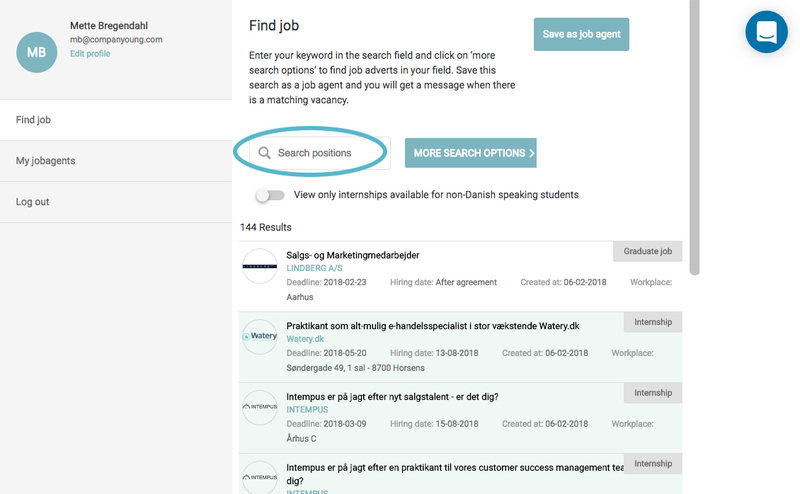 Here you can search for available positions based on position type, job field and geography. 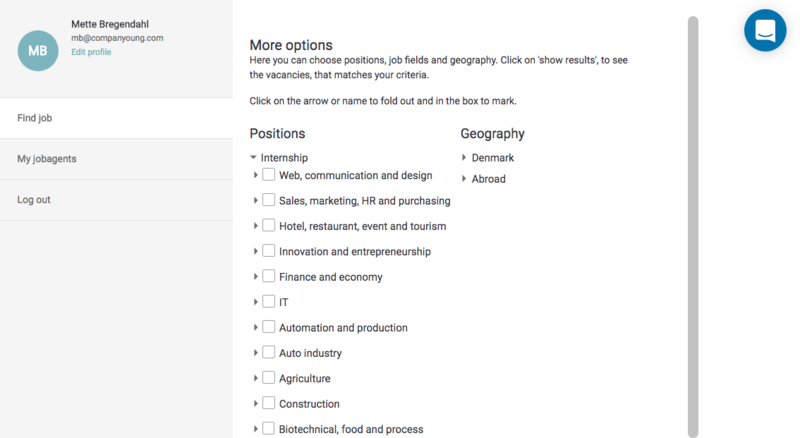 Click on the arrows to unfold the different categories and mark the boxes that are relevant to your job search. 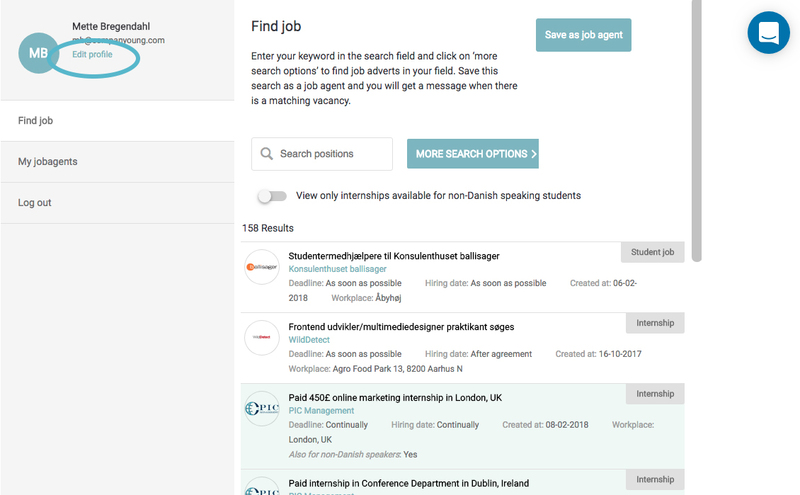 Click on "Show results" to see the job adverts that match your criteria. You can also perform a keyword search by typing in keywords in the search field. 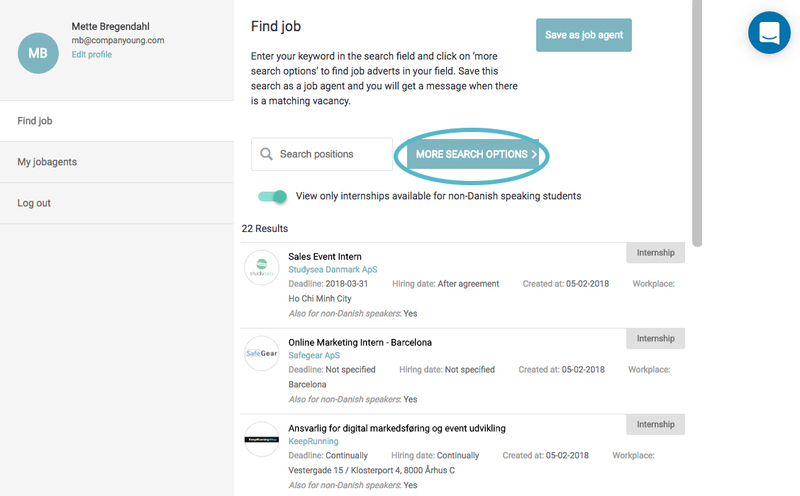 Now save your search as a job agent - then you'll automatically receive an e-mail when there are new job adverts that match your search criteria. 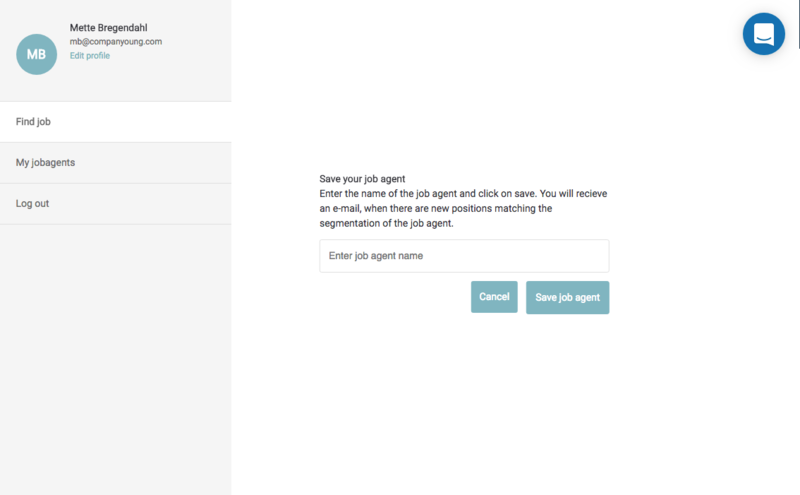 Do this by clicking "Save as job agent" in the upper right corner. You'll now be asked to name your job agent. When you've given it a name click "Save job agent". You'll now receive an email whenever there is a new job advert that matches your search criteria. 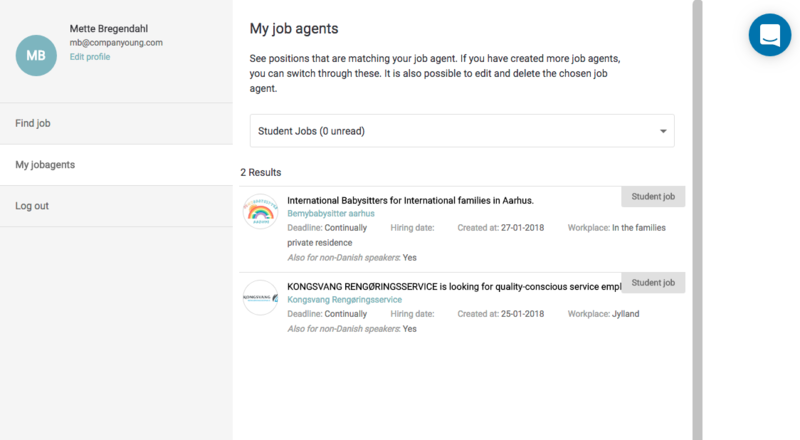 It's possible to create multiple job agents. This allows you to create one for each position type you are looking for. You can always see your job agents under the tab "My job agents". If you have multiple job agents you are able to switch between these under this tab as well. It's also possible to either edit or delete your job agents under this tab. 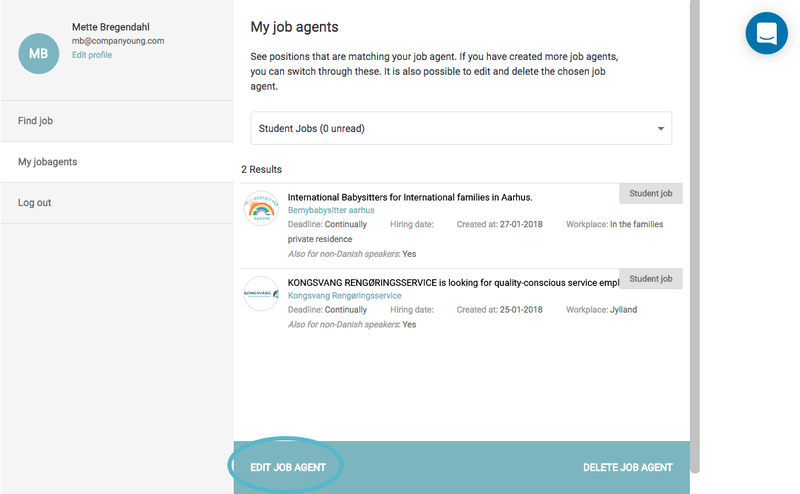 If you want to edit your job agent click on "Edit job agent" in the bottom left corner. 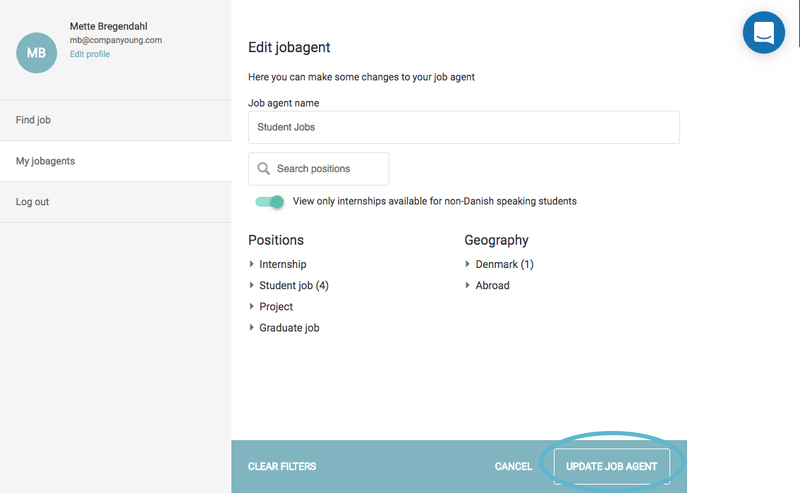 You'll now be able to edit your job agents. When you've made the necessary changes click "Update job agent" in the bottom right corner. If you wish to delete your job agent click "Delete job agent" in the bottom right corner under the tab "My job agents". You'll now be asked to confirm your deletion. To do that, type in "delete my job agent" and click "Delete job agent". If you wish to edit or delete your profile on the job portal, go to "Edit profile" in the upper left corner just below your name. On this page you can make changes to your profile such as changing the language and changing your password. If you scroll down to the bottom of the page, you are able to delete your profile. 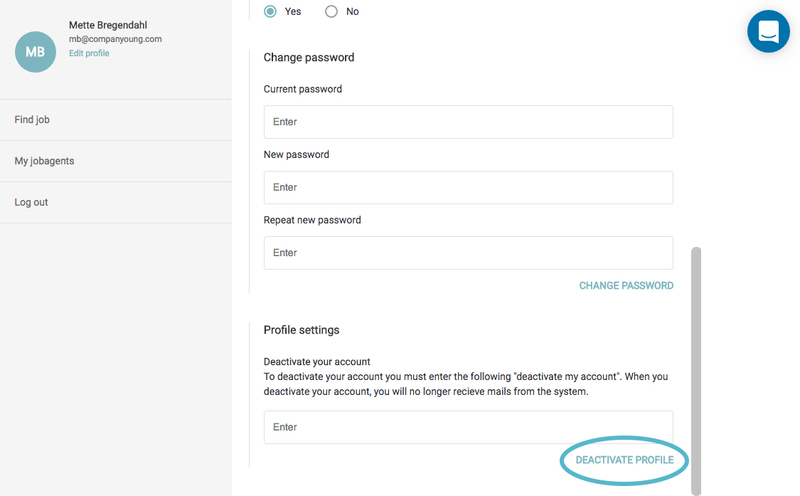 To delete it, type in "deactivate my account" and click "Deactivate profile" in the bottom right corner.